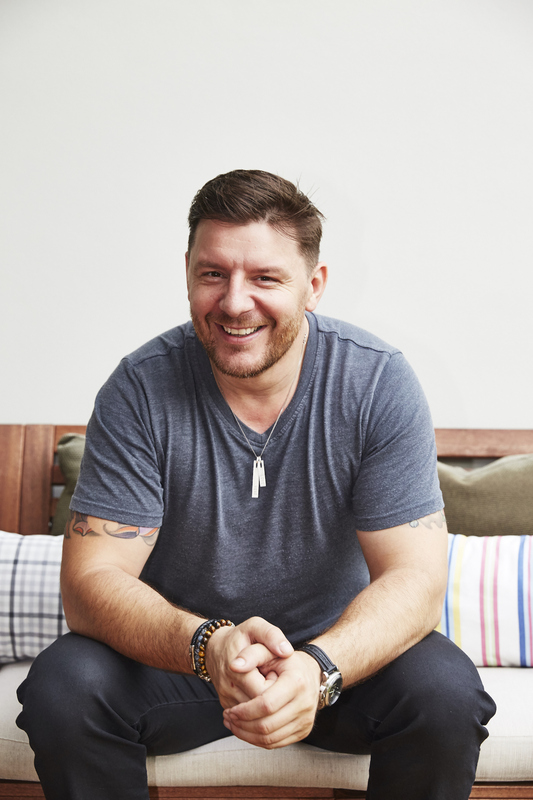 Manu Feildel has become one of the most popular personalities on Australian television as co-host of the successful “My Kitchen Rules” series on Channel 7, which debuted in 2010. After eight series, it is still the top rating show in prime time. The series has been nominated for several AACTA and Logie awards since 2012 winning Most Popular Reality Program in 2014. Manu also participated in and won the 2011 series of “Dancing with the Stars” and his 6 part series “My France” for Channel 7 aired from 2014 to 2106. He released his 4th Book “More Please”with partner Clarissa Weerasena in late 2016 following on from his popular books, Manu’s French Kitchen and Manu’s French Bistro and French for Everyone. It seems that Manu Feildel was destined to become a talented chef from the moment he was born – his great grandfather was a pastry chef, his grandfather and father were chefs, his cousin is a chef in the United States and his mother is a great cook. But, as a child, he saw his future on the stage rather than in the kitchen, and at 13 years old he joined an amateur circus school. By the time he turned 15, Manu had decided that the road to becoming a professional clown was a very long process, so he started as an apprentice in his father’s restaurant. After a year, he progressed to a fine dining restaurant where he finished his apprenticeship. Shortly after, the travel bug bit Manu and he packed his knives and headed for London. His first job at The Cafe Royal was hard, to say the least, as Manu didn’t speak any English. But his perseverance paid off and, after working at restaurants such as Les Associes and Cafe des Amis du Vin, he took up a position as Chef de Partie at the seafood restaurant Livebait and that’s when, he says, he really began to understand and love the career he had chosen. Manu stayed with Livebait for 3 years, progressing to Sous Chef and then Head Chef with the nomination of best seafood restaurant in the UK in 1998. In 1999 Manu flew to Melbourne where he worked at Toofeys for about 6 months before heading north to Sydney. After 6 months with Hugo’s at Sydney’s famous Bondi Beach, he opened the kitchen at the new Hugo’s Lounge in Kings Cross. Manu ran the kitchen for about 18 months before he moved to Restaurant VII with its exciting fusion of French and Japanese cuisine (2 Chef’s Hats from Sydney Morning Herald). In 2004, Tony Bilson approached Manu to open his new venture Bilson’s at the Radisson Hotel. In its second year of opening, the restaurant won 2 Chef’s Hats, and in its third year, this accolade had increased to 3 Chef’s Hats. In 2008 Bilson’s won three chefs hats for the third year running. Manu made the leap of faith in March 2009 Manu opening his first restaurant L’etoile in Paddington, Sydney, were he was awarded a Chef’s Hat in August 2009. That same year he also won the “Shoot the Chef” competition for the Sydney Good Food Month. In 2016, Manu realized a dream of co-producing his first TV series, called Around the World with Manu, which aired on 7Two. Plans for another travel series are currently under way, and he is currently the Ambassador for Campbell’s, Obela Hummus & Dips, Camp Quality and Plan Australia. Manu first appeared on Australian television with Ten’s Ready Steady Cook and he has also been a regular presenter on The Circle, Sunrise, Seven’s Morning show and 9am with David & Kim. Manu’s other TV credits include co-host of “Boys Weekend” alongside friends Gary Mehigan, Adrian Richardson and Miguel Maestre, which now airs to over 110 countries worldwide. Manu has been a regular contributor to Australian Good Taste, New Idea, and now Taste.com magazine. He also continues to be invited to do guest appearances at numerous dinners and events around the world due to his gorgeous food and fun approach.